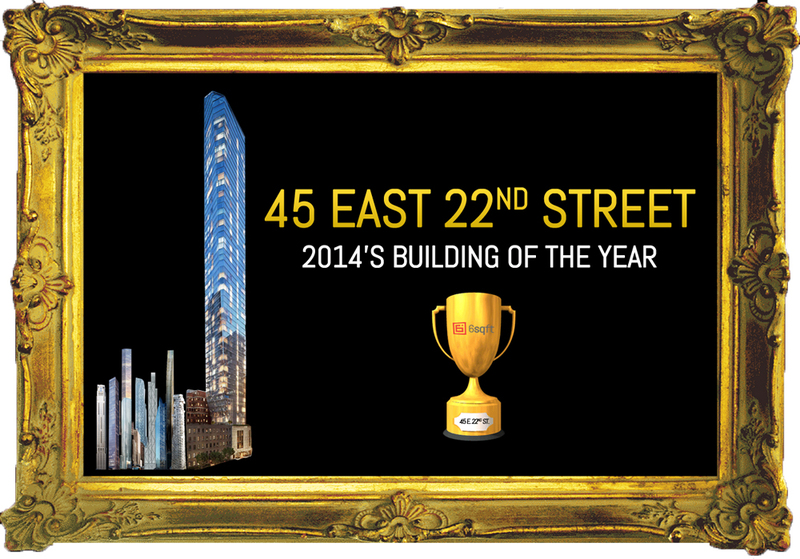 Announcing 6sqft’s 2014 Building of the Year! DRUMROLL PLEASE… You came, you voted, and now we’re pleased to announce the winner of our first-ever Building of the Year competition! Congratulations to the Kohn Pedersen Fox-designed, Continuum Company-developed 45 East 22nd Street tower which won the hearts of 29 percent of over 3,500 readers who came to cast a vote. We’re not sure if it was the champagne flute-like design that sold you, or if it was the ambitious cantilever that captured your gaze, but there’s no question that this incredible 777-foot construction pushes the envelope—not only in size, but in the design of bigger, better and more luxurious living spaces. Demolition to make way for the supertall started this summer and construction will commence early next year. Once this 65-story glass beauty is complete in 2016, expect to see it tower over the Flatiron District!